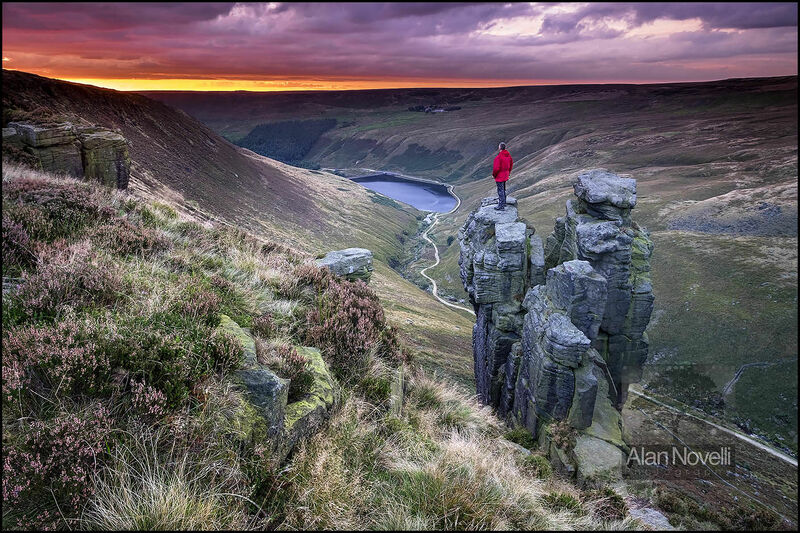 This is 'The Trinnacle' on Saddleworth Moor, a triple outcrop of rock with a view to die for high above the Greenfield Valley. It is quite a walk in to here and it is not the easiest of locations to find, but when conditions are right it offers a spectacular viewpoint over the surrounding moorland. Alone in this location, it was left to me to provide the much needed scale for this image using my camera's interval timer to capture the drama.